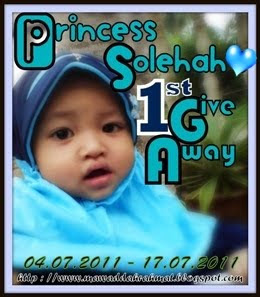 ALL IN CONTEST: PRINCESS SOLEHAH 1ST GIVEAWAY. SEMOGA PRINCESS SENTIASA CERIA DAN BAHAGIA! !